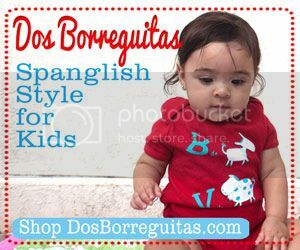 Disclosure: This is a sponsored post in collaboration with Latina Bloggers Connect and WGBH. 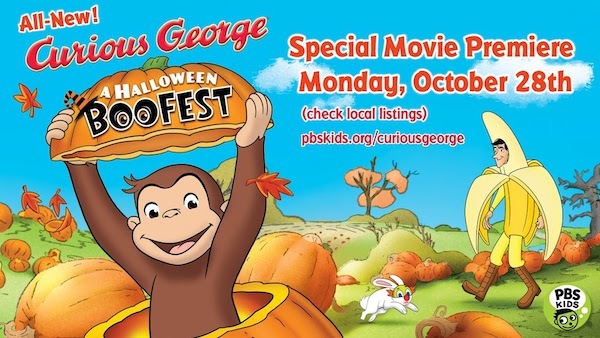 Just in time for Halloween, PBS Kids is premiering the first ever Curious George Halloween special called “A Halloween Boo Fest” Monday, Oct. 28. 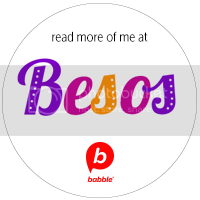 We got an advance copy and my kids and I sat down to watch this super cute movie starring Jorge el Curioso and we had so much fun! The movie is all about the legendary No Noggin, a spooky scarecrow who is known to kick the hats of the heads of trick-o-treaters every Halloween. But is this a folk tale or a true story? That’s what Curious George will attempt to find out. Santiago was a just a tiny bit scared during certain parts of the movie, but not enough to not want to watch it two times in a row. At 7 years old, I thought Vanessa wouldn’t be that interested, but she loves Jorge el Curioso, so she really enjoyed it. Before I let my kids watch the movie a second time, I decided to take advantage of the movie’s theme to talk to them a bit about legends, folk tales and fables. 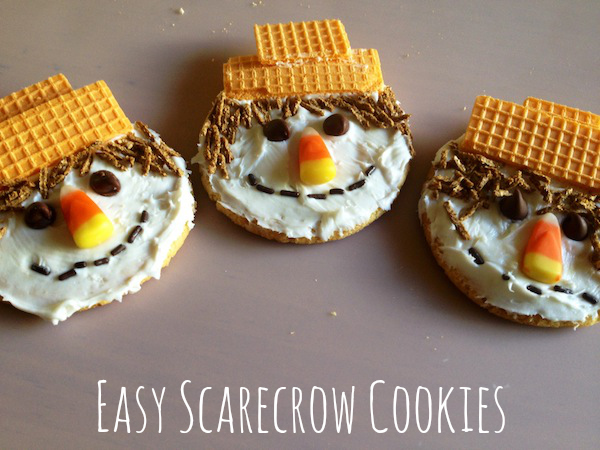 And I did that while we made these super cute Scarecrow Cookies in honor of No Noggin. It took us no time to make a dozen cookies that the kids shared with their best friend and also their babysitter. They were so happy of their accomplishment. Hopefully, they also understood what I tried to to teach them about fables and folktales. Now that we’ve talked a bit about the topic, I’m going to be on the lookout for some books in folktales in Spanish to reinforce what we discussed. And don’t miss the premiere of A Halloween Boo Fest on Oct. 28 on PBS Kids. 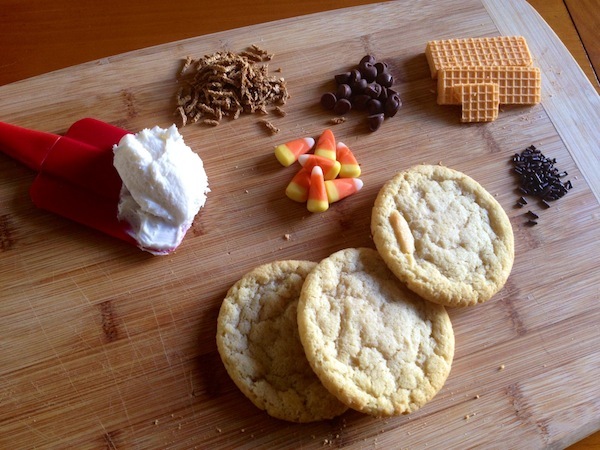 Your website is really amazing… and article such knowledgeable to make cookies..! Your post are amazing and i love your theme. Magnificent items from you, man. I’ve keep in mind your stuff previous to and you’re simply extremely magnificent. I actually like what you’ve acquired here, really like what you’re stating and the way in which wherein you say it. You’re making it enjoyable and you continue to take care of to keep it smart. I can not wait to read far more from you. That is really a tremendous web site. grinning pumpkins and a moonlit night. What a great beginning for a Halloween also hollow out miniature pumpkins and insert a votive or pillar candle inside. Create miniature. moonlit night. What a great beginning for a Halloween Wedding. 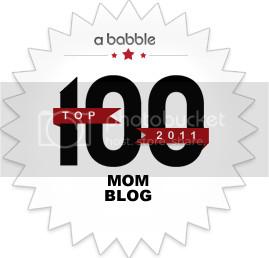 Most people can easily turn a.ribbon bow around the base of the candle. Scatter a few fake leaves in autumn colors on the. from what ghosts do and you generally see ghosts that say BOO ! during Halloween. So, I say start a tradition and just BOO! your neighbors, or anyone for that matter. Really nice blog post of Halloween. 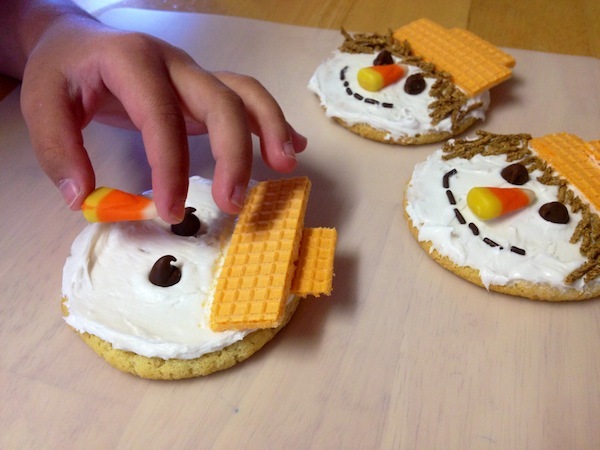 You decorate beautiful biscuits for Halloween. Leather jackets area unit the evergreen addition to your wardrobe. They ne’er get recent and therefore the aura escalates with years of use. Newest trends seem in each fashion cycle that mesmerizes the style aficionados.